On a cold but bright afternoon on February 12, 2000 a group gathered at MOFGA’s new Education Center in Unity, Maine to talk about cheese. Russell Libby, MOFGA’s Executive Director, thought it was important for the cheese makers in the state to get together with some cheese retailers and talk about what it would take to make more cheese in Maine. 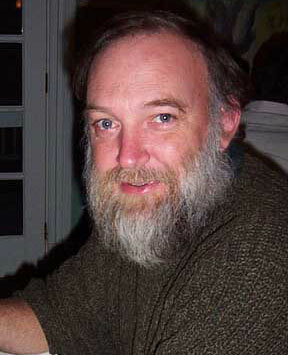 He did not focus the group on organic cheese alone, but wanted to understand Maine’s production of all cheese and value-added dairy products because Russell knew that more Maine cheese would be require more Maine milk, and a higher demand for Maine milk would support Maine dairy farmers, organic and conventional. Among the cheesemakers invited to attend were several core Guild members: Appleton Creamery, Hahn’s End, York Hill Farm, Seal Cove, and Sunset Acres. I attended this meeting as well. I was vice-president of the MOFGA board at the time, but I was also interested in dairy processing, and eager to hear the challenges from the producers and the buyers, and then working to overcome them. Although the Guild didn’t officially form for another few years, many of us point to this meeting as the “first Maine Cheese Guild” meeting. More to the point, it was an example — one of hundreds — of the way Russell worked. He brought people together, contributed as much as he could to help them, but ultimately he recognized that it was most important for groups to work together. Russell was a genius at bringing people together in a common cause. He is at the core of so many groups and efforts that are currently working on agricultural issues in Maine, and he connected us all. That is why he will be missed so much. We can honor Russell every time we meet to talk about our challenges, and every time this results in a new idea or a new effort we will know that Russell continues to work for Maine’s agricultural future. i still have the minutes for that meeting! 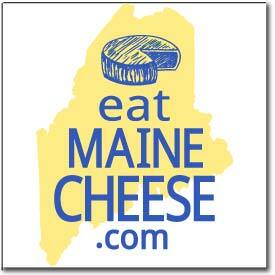 i don’t think any of could have realized then how successful the Maine Cheese Industry would become. Thank you Russell for helping get us started down the road.